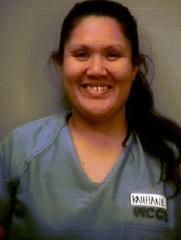 Extended furlough inmate Momi Kauhane-Malrey leaves furlough home unauthorized. Sheriffs & HPD notified. If seen, call 911. At approximately 3:35 a.m. Women’s Community Correctional Center (WCCC) extended furlough inmate Momi Kauhane-Malrey left the YWCA Fernhurst furlough home where she resides. She was not authorized to leave the home. State Sheriffs and Honolulu Police were notified of the unauthorized exit. Inmates in the extended furlough program live and work outside of the prison facility. 33-year old Kauhane-Malrey is classified as community custody which is the lowest custody level. She is 5’7” tall and weighs 188 lbs. She has brown hair and brown eyes. Kauhane-Malrey is serving time for Promotion a Dangerous Drug 3 and Prohibited Acts Related to Drug Paraphernalia. Her parole was tentatively approved with a release date pending approval by the Hawaii Paroling Authority. She now faces an additional escape charge when found. If you see Kauhane-Malrey, please call 911 or Sheriff Dispatch at 586-1352.